You may have noticed that sometimes a URL that you copy and paste from a library database doesn't work correctly when you try to access it later. 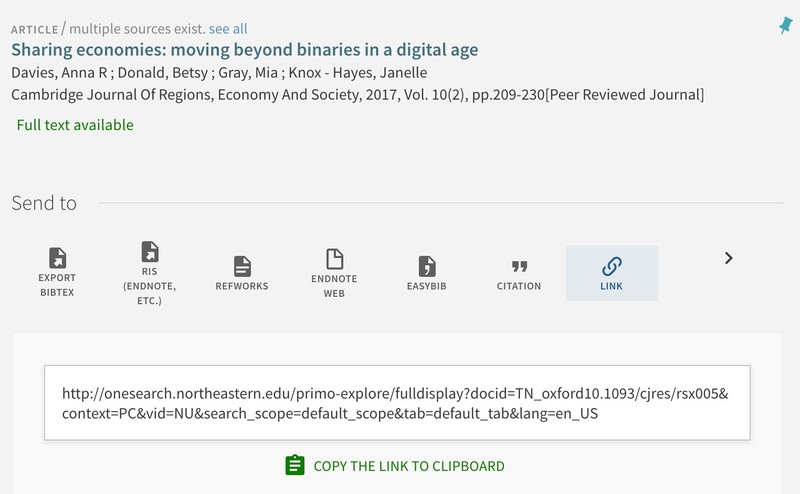 A permalink, also called a persistent or stable URL, removes any session-specific information from those URLs and is a reliable way to access the article or e-book section later. A proxied URL will ensure that you and others in the Northeastern community can access the URL from anywhere, whether on- or off-campus. Permalinks can be really long! If you want to provide a shorter link, we recommend using a service like bit.ly. Assigning journal articles or book chapters as class readings? Save your students from purchasing a classpack! First, find out if Northeastern University provides access through its licensed online resources. Then, use permalinks in Blackboard so your students can access the readings from anywhere. Linking to online readings is the best way to comply with copyright law. Permalinks also provide reliable future access in many situations. Use them when emailing colleagues, or in your citation management software! Since SOS links may change over time, we recommend using the database providers' permalinks for long-term stability. If you know that your article or e-book is in one of the providers named in a tab at the top of this page, click on the tab to go directly to database-specific instructions. These are just a few of the most highly used providers, though. Most resources we have access to will provide permalinks. If you need help with a specific database, please contact us. You may prefer to link to a journal article on the publisher's website rather than through a third-party database. Many journal publishers assign Digital Object Identifiers, or DOIs, to their articles. These are also permalinks. 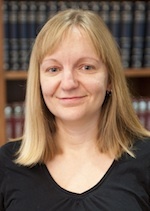 But because they do not contain the library's proxying information, users who are not on campus will not be able to access the full text because the journal's website will not recognize them as subscribers. Rather than just giving students a DOI, you should add the proxying information as shown in the example below. This will ensure that students are prompted to log in with their myNEU username and password, thus authenticating them as Northeastern affiliates. Make sure that you're able to access the full text of an article through the publisher's website before assigning it as a course reading. You can check our e-journal subscriptions here: http://library.northeastern.edu/ejournals.